INDIANAPOLIS – March 2, 2016 – Daimler Truck North America (DTNA) gave the public its first glimpse of its new Detroit DD5™ at the NTEA Work Truck Show in Indianapolis. The Detroit DD5 is the first of two new medium duty engines, with the Detroit DD8™ planned to follow in 2018. The proprietary engine platform was first announced in October 2014, and in November 2015 it was announced that DTNA would invest $375 million to bring medium duty engine production to its Redford, Michigan facility. Initial production of the medium duty line will take place in Manheim, Germany before shifting to United States in 2018. The DD5 will be available for orders later this year in Freightliner Class 5/6 M2106 trucks ideally equipped for pick-up and delivery applications. More extensive availability throughout DTNA’s product portfolio will begin when production shifts to the Redford facility in 2018. The DD5 will initially offer two power ratings, a 210HP/575ft-lb torque and a 230HP/660ft-lb torque, with the plans for additional ratings once the production shifts to the Redford facility in 2018. In addition, Detroit also announced the engines will have a 45,000 mile maintenance interval and the engines will be equipped with the award winning Detroit™ Connect Virtual Technician℠ remote diagnostics service. 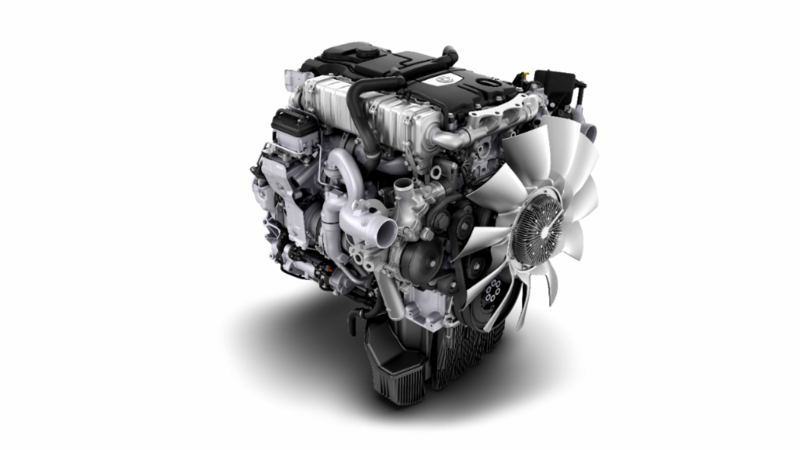 The DD5, along with all other Detroit engines, will meet the GHG17 standards early. Detroit offers a line of heavy-duty diesel engines, axles, transmissions, safety systems and telematics products for the commercial transportation industry in both the on-highway and vocational markets. Detroit™ products are sold and serviced through a network of hundreds of locations throughout North America. Detroit™ is a brand of Detroit Diesel Corporation, a subsidiary of Daimler Trucks North America LLC.